F-commerce (Facebook Commerce) is a hot topic for E-creation's online retail customers - with many client's asking about the effects of F-commerce on the e-commerce market. Given that most of our e-commerce website development is done on a bespoke basis (either customising off-the-shelf packages like Magento, WP e-commerce or our our platform), we are rarely asked to look at 'online packages', since they lack the flexibility of custom e-commerce website developments. So what is F-commerce? Facebook Commerce, put simply, is an Amazon WebStore embedded into Facebook page. F-commerce is receiving lots of interest due to its low entry costs & development speed, making it possible to create a fully functioning e-commerce store, in a matter of days. Amazon Webstores are built using an online tool, provided by Amazon, enabling businesses to create e-commerce front-ends using a simple, web-based administration system. Products loaded into the webstore (either manually product by product, by CSV or XML) can then be purchased via a webstore front-end (with your unique URL), via Amazon product search OR through F-commerce pages within Facebook. From a functionality point of view, Amazon Webstores & F-commerce offer no new innovations in the way that the e-commerce website works - it's principle is to use social networking to help drive additional traffic by showing your friends your purchases. They see what you buy (either via your Facebook page or via the F-commerce store) and are influenced - but this is not different to the current 'Like' functionality that has become standard practice in e-commerce webstore. Put simply, F-commerce is a different location for your webstore (in the same way that you might move your retail premises to a new location) with 'broadcasts' of your purchases within Facebook. What are the most important success factors for contemporary e-commerce retailing? SEO and website structure still remain the most important factors. The technology platform (Magento, WordPress WP e-commerce, F-commerce or custom e-commerce code bases) will define where you start your relationship with a customer. Do customers find you through search engines or affiliate marketing, through Google Shopping or other price comparison websites, or through more traditional marketing methods. With so many e-commerce websites available now, choice becomes a a challenge, hence the power of price comparison websites to help make price / service comparison easier. Most of the rules that apply to traditional retailing apply to e-commerce retailing. Once a customer relationship has been established, it's much easier to sell to existing customers - hence the very effective use of e-mail marketing by Amazon - that's where the real 'profit' exists for many e-commerce websites. Using the Amazon webstore platform can create additional opportunities because of 'side street' traffic, where Amazon's e-mail marketing creates product interest and visitors to the site. What three technical features are essential for good e-commerce practice? What is the likely influence of F-commerce? Facebook has lots of users, so it's a good captured market, when being used within Facebook. However, most of the 'noise' on the web currently about F-commerce appears to be driven by social media proponents (people like Facebook, social media marketing agencies & the media) - so are Facebook users your target customers? 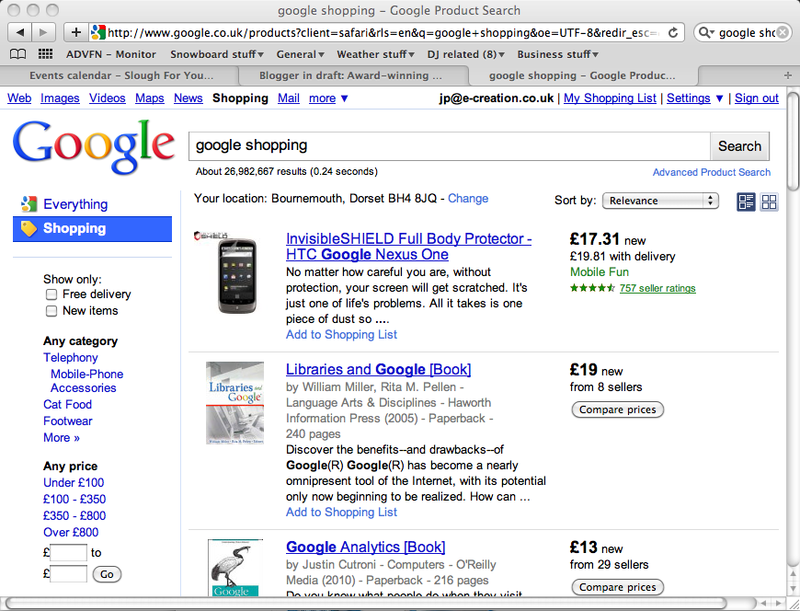 There is a difference between 'impulse purchase' customers (for whom F-commerce may be suitable after they see an advert for a product in Facebook) and more deliberate shoppers, who typically type in a product name a search engine (or go directly to their favourite online retailer, such as Amazon) where they can compare online retailers easily). Since F-commerce or Facebook shops are just a 'front' for Amazon shops, so it is unclear were the additional value from a commercial perspective is achieved. 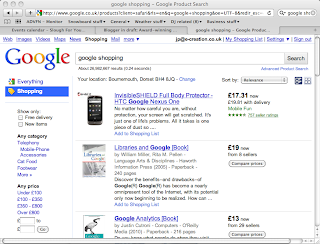 Given the fact that Internet consumers generally tend to be more price motivated than high street shoppers, product inclusion in price comparison systems like Google Shopping is essential. F-commerce shops can run in parallel with these price comparison systems, ensuring higher visibility to potential customers. What do you think to the F-commerce phenomenon? Not sure we'd call it a phenomenon. F-commerce is an opportunity for Facebook to make more money and agencies are jumping on the bandwagon to make some money as well! F-commerce compromises the user experience and brand values (since it includes the Facebook branding at the top & imposes to a degree a design style). It might represent a cheap, easy way for non-professional retailers to quickly create an e-commerce store, borrowing on the Facebook credibility but consumers will rapidly see through this. What is the future of online retailing? Online retailing will undoubtedly continue to expand but the influence of mobile applications will be more influential than F-commerce due to the simplicity & general availability (around the world, mobile phone access exceeds Internet access massively). The Amazon & Ebay applications for the Apple iPhone have already changed the way people shop and are taking rapid chunks of businesses out of traditional e-commerce applications & traditional retail. If I am out shopping, see something I like, I can scan the barcode using the camera and either eBay or Amazon iPhone Apps will find the item online at the cheapest price within seconds. If there is a significant price difference, I can order & pay in 15 seconds via my mobile phone - that's faster than going to the checkout to pay! This is a massive threat to traditional retailers who have rely on the quality of their service (the shopping experience) and the customer's unwillingness to use their feet to shop further - effectively reaching a suitable price / time-spend compromise. What is the future for retails stores? The future depends on the products. There is always innovation in retail because shopping is an experience that people are willing to pay for. Some goods are simply not suitable for online retailing (e.g. wedding dresses [though even in this market, people may window shop and then purchase online]). The question really that really needs to be addressed is 'what is a modern retail shop?' With people like John Lewis fusing their online and physical retail operations (e.g. order online and get it delivered to your local shop the next day for free), the line between shopping physically & online is blurring. With iPhone apps, it's now even more complex, where the shopper combines the physical experience of shopping, with access to the Internet for price comparison via their mobile phone. Will retails stores be phased out completely? No ... it will never happen because there are too many goods that people need to see and buy on the basis of product context as much as the product itself. Other consumers need their product 'now'. E-commerce makes more choice available and the more choice we have, the more difficult it becomes to select and be satisfied with a purchase (as described so well in 'The Paradox of Choice') - therefore the experience comes to hold more importance (whether that be the online experience or the in-store experience). Ultimately, with so much choice, consumers need the friendly confirmation of 'a fine choice, sir' to validate their purchase decision, whether it comes from a sales person, a friend or an online recommendation of a product.